Amazing what a difference a couple of years can make, isn’t it? I know what you’re thinking: who the hell uses per se? The Recovery Act, in case you’ve forgotten, is the failed Stimuls Plan (so-called) that none other than Barack Obama jammed through before anyone knew what was in it. 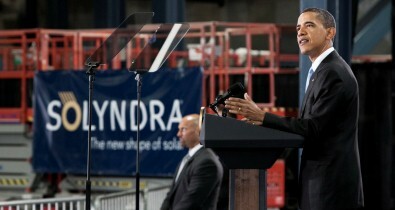 Barack Obama’s attempt here to distance himself from Solyndra is what I call prevarication per se. Could not be said any better –any plainer. Grazie! Hi Kathy. I haven’t seen you in forever. How are you? Ready for a cocktail? Thanks for your comment, and thank you for dropping by.